Diastasis Recti is a condition that is fairly common in women after pregnancy, it is thought that around 66% will experience it in some form. It occurs where the 'rectus abdominis' muscle in the abdominals doesn't fully come back together, sometimes it just needs a little help. Sometimes your core can feel a little weaker after pregnancy, whether you have had a natural or assisted delivery. 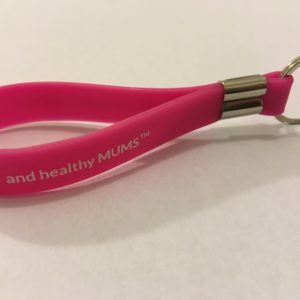 Maybe your middle just doesn't feel like you any more, you may experience that 'mum tum' or 'doming' of the muscles. 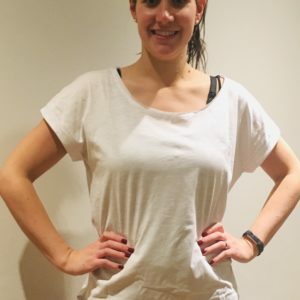 There maybe pain sites in your abdominals, lower back, between your shoulder blades for example as your tummy is the centre of your physicality and most movement will go through it in some way or form. We can help you to repair muscles, build strength and aid healing in the areas that matter. A programme of movements, exercises and progressions that are unique to you are taught over a series of stages. Often ladies who experience diastasis recti, also have some pelvic floor dysfunction or weakness. As this programme is unique to you, we are able to combine exercises and progress you through the stages of recovery in a way that is beneficial for you. 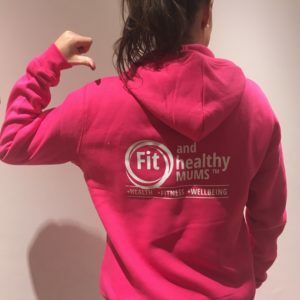 Fit and Healthy Mums will not only help resolve the cosmetic 'look' of the core but more importantly teach you functional exercsies that will allow your body to with stand the demands of motherhood - lifting, carrying and lugging all that 'stuff' about! 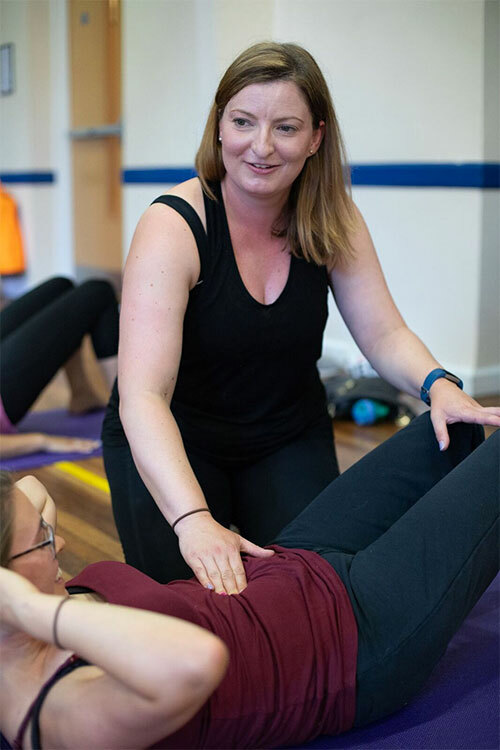 If you come along to one of our postnatal classes we will check your abs for you so we can make sure you are doing the correct exercises and to the right level of intensity for you. Keri will adapt any movement in any class so that you can combine group classes alongside this programme. We offer a new 7 step approach to help aid the healing of diastasis recti. The programme follows the ‘breathe’ principle looking at and correcting many factors that contribute to the build up of abdominal separation. We cover breathing technique, posture and alignment, stretches and releases as well as specific exercises for the tummy area. Education is a key part of this programme, you will learn lots about what is going on, so you can understand the best way to fix it! Nutrition, footwear, how you lift and carry your baby, is all as important as the tummy exercises! The course is split into a minimum of 3 sessions, each around 2/3 weeks apart so that you can take the learnings and practice at home before moving onto the next part of the programme. A full body approach to closing the muscle gap in the abdominals, tailored to you and your lifestyle and any painsites.